The all experience was excellent. The room and bathroom were quite large and modern. All the staff members were very nice and helpful. A special thanks to Martial for his extra help 😊 I highly recommend this place for the staff attitude. Very clean, large rooms and very quiet overall. We felt safe and cozy. perfect location for a couple of nights stay, room has everything you need, staff were really friendly and helpful, breakfast was wonderful. Very convenient location. Large room. Very clean, has kitchenette. Great location, the room was bigger than expected and the room dividers were clever. The bed was comfortable! My kids liked the board games and books in the lobby. We loved the piano in the reception and all the games for kids. 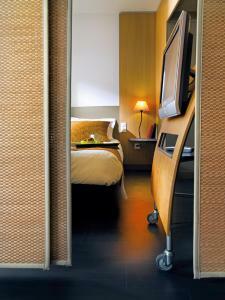 Also liked the room divider in the bedroom. Very nice apart hotel, central location. Our room was on the fifth floor, nice urbanic view ( the back side of the hotel). There are construction works ,while we didn't hear any noise. Very friendly staff, location in the city center, kitchen facility very useful, good wifi. 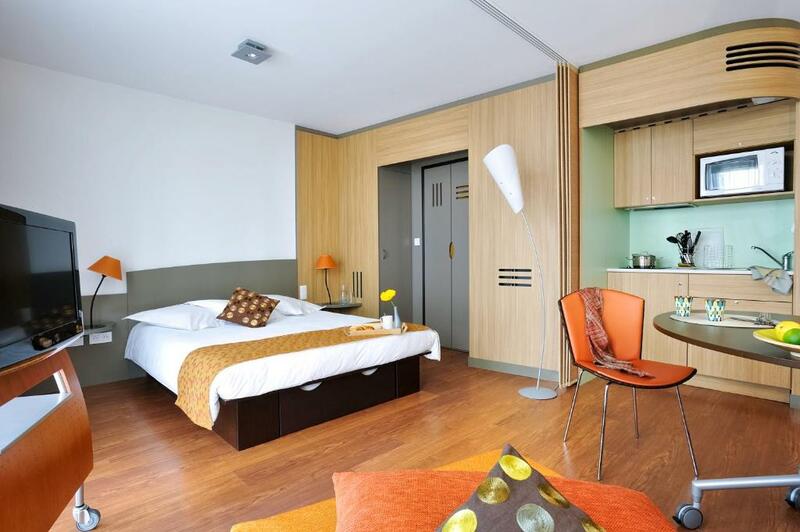 Lock in a great price for Aparthotel Adagio Nantes Centre – rated 8.6 by recent guests! 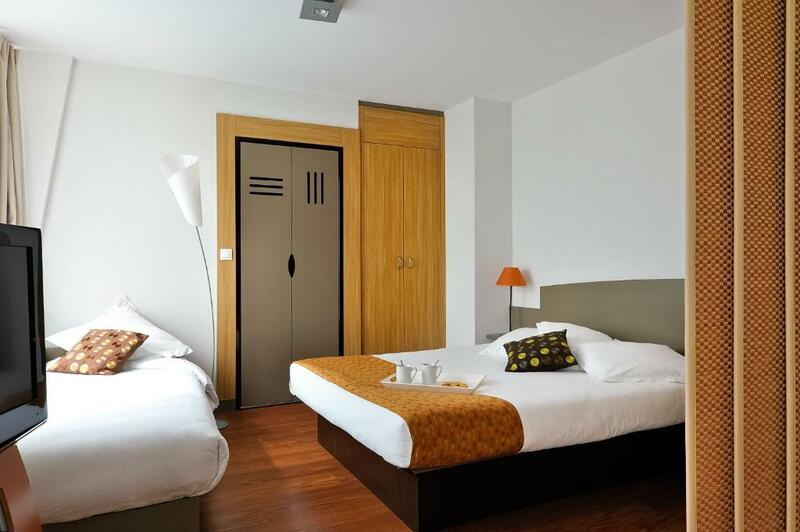 Aparthotel Adagio Nantes Center is a modern aparthotel located in central Nantes, just 1,650 feet from Nantes Train Station. Guests have free access to the sauna and can use the free Wi-Fi access. Apartments have a flat-screen TV with satellite channels and bed linen and towels are supplied. 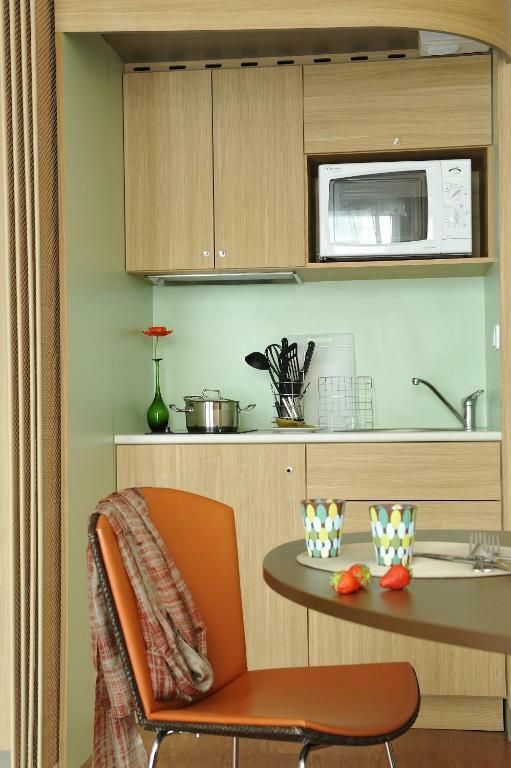 You can use the microwave, stove, fridge and coffee maker provided in the kitchen. 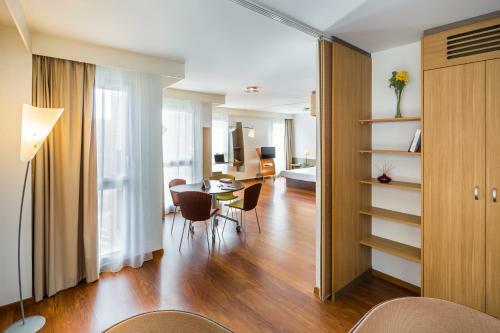 A buffet breakfast is prepared every morning in this aparthotel and vending machines with snacks and cold drinks are available in the reception area. The Congress Center is 0.6 mi away and the Chateau of the Dukes of Brittany is just 350 feet from the Aparthotel Adagio Nantes Center. 뀐 Located in the real heart of Nantes, this property has an excellent location score of 9.0! 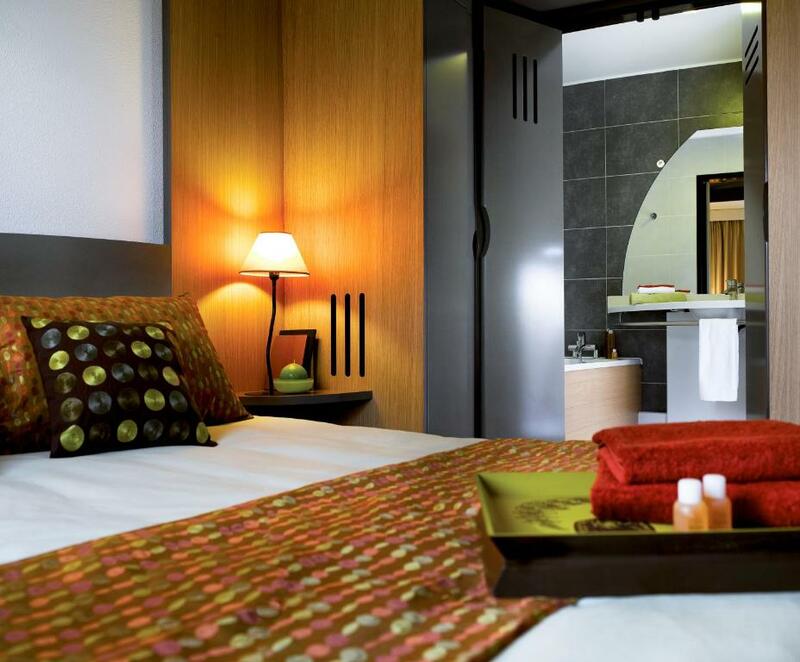 When would you like to stay at Aparthotel Adagio Nantes Centre? Self-catering facilities, satellite TV and free Wi-Fi access are provided in this air-conditioned studio. This quadruple room features a dishwasher, kitchenware and cable TV. Aparthotel located close to the Castle, the canal Saint-Félix and 3 minutes walk from the railway station. 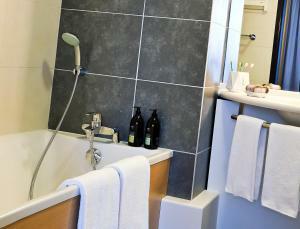 House Rules Aparthotel Adagio Nantes Centre takes special requests – add in the next step! Aparthotel Adagio Nantes Centre accepts these cards and reserves the right to temporarily hold an amount prior to arrival. An à la carte daily cleaning service is also available at an additional cost. Please note that the property provides 30 private parking spaces that are available upon request and subject to availability. The property is located in a pedestrian area. It is advised to arrived by public transport. Please note that from 04 February to end of March 2019, roadworks will take place in front of the hotel. During this period, guests may experience some noise or light disturbances. No need for bottled water at breakfast - a jug of filtered tap water would be better for guests and the planet. There is way too much single use plastic to unnecessarily add to the problem. On a similar note, there should be the option for recycling waste in the bedroom rather than just a single landfill bin. Breakfast was excellent A great range of food choice of hot and cold drinks Comfortable seating. Underground car park with lift was really useful. The location was excellent for tourists ,as near to major monuments and the whole network of transport.WE had difficulties with the pedestrian approach as there are major street renovations at present.but had no problems on Sunday as everywhere was quiet. Great location. Very clean. Strongly recommend. Room was very comfortable, spacious and clean. Kitchen utensils were provided which was great. I definitely got my money’s worth. Location was excellent as the tram station was right beside the hotel but you didn’t need to use it because you were so close to everything! Noise wasn’t an issue either. Everything was really clean and the ubication was perfect! Great place centrally located with a great restaurant next door (Le Loco). Ask at reception for the voucher offering a special deal for guests. All ok, nothing to dislike. Convenient for exploring and close to lavette drop off/ pickup from the airport as station is close by. Hotel very clean and staff helpful. Good sized room with bonus of small kitchen. Breakfast was poor. We arrived half an hour before it finished (having pre-booked the evening before) and there were no croissants or pastries left at all.